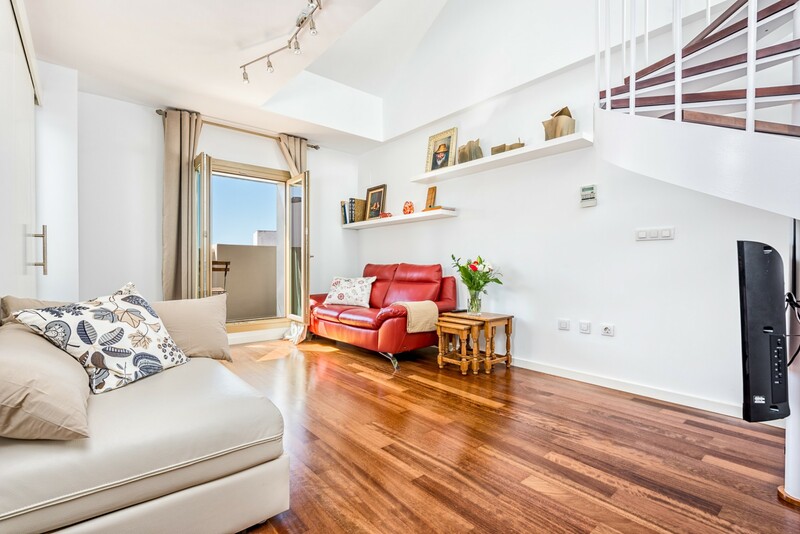 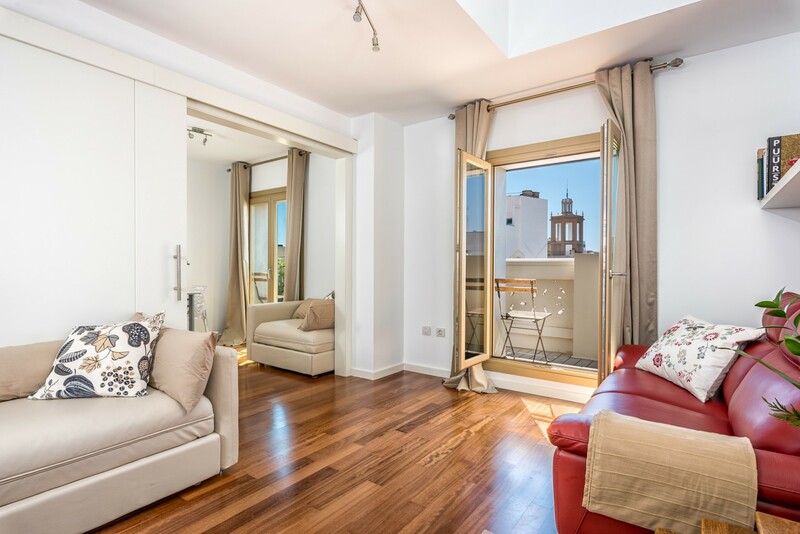 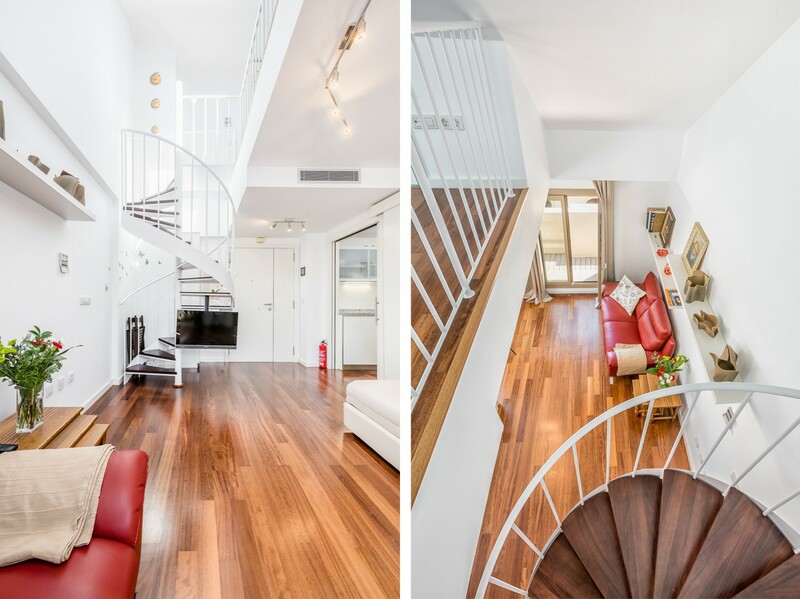 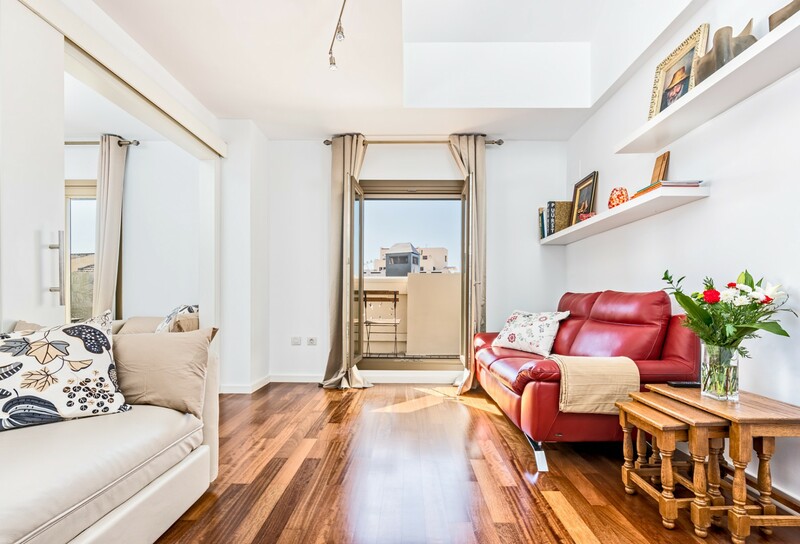 This practical duplex apartment is located on the 5th floor of a building with elevator and offers a bright living room with sofa, TV, dining table and access to the new kitchen with all accessories. 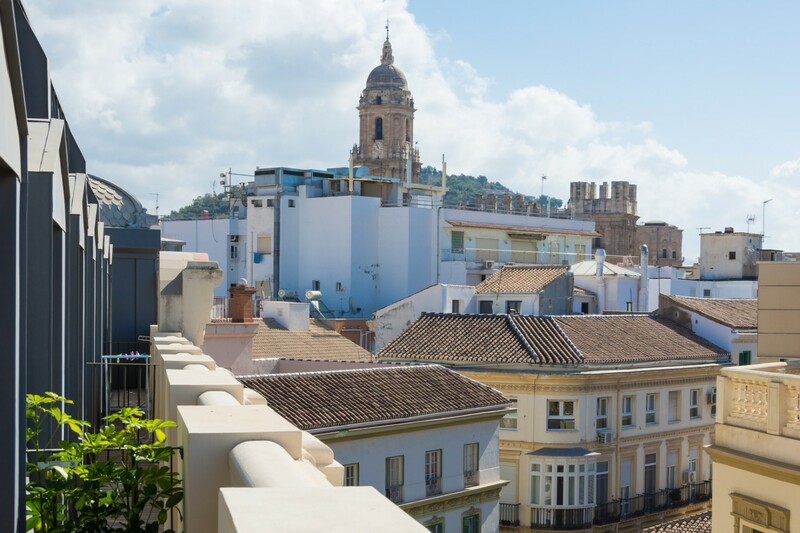 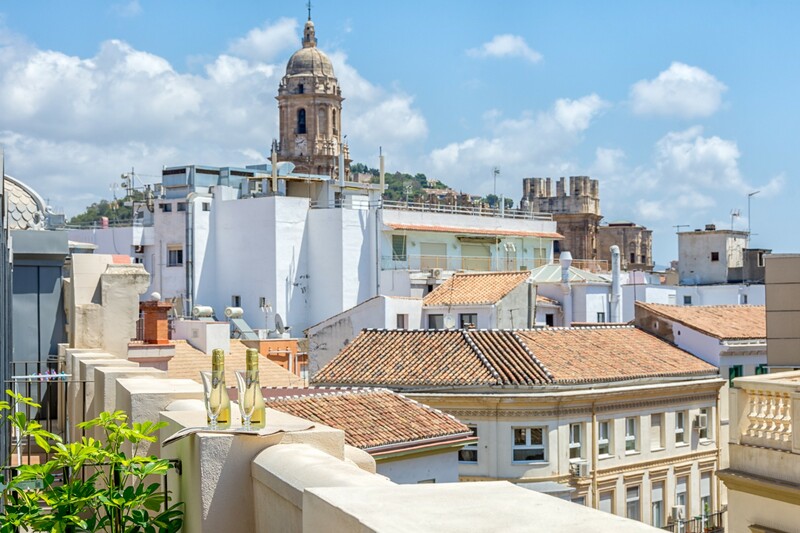 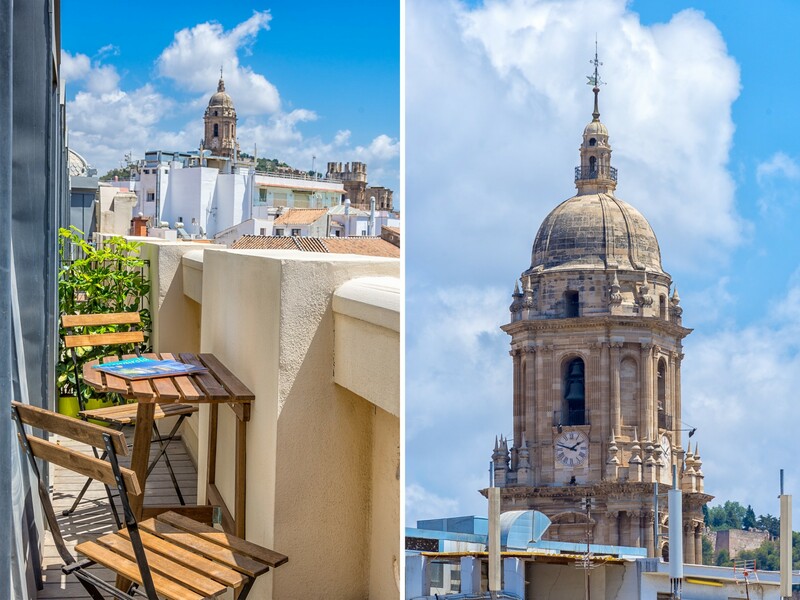 From the lounge there is also access to the balcony which offers 2 chairs and a table and a beautiful view of Malaga city and cathedral. 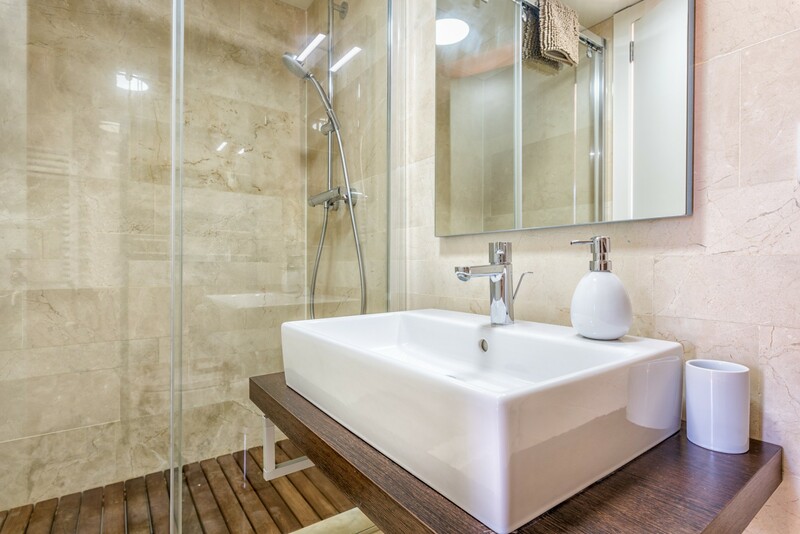 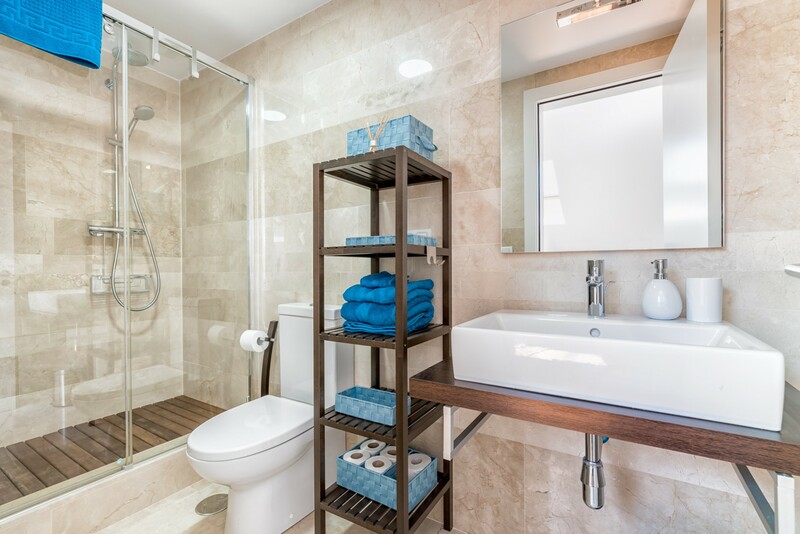 On the lower level there is also a bathroom with shower. 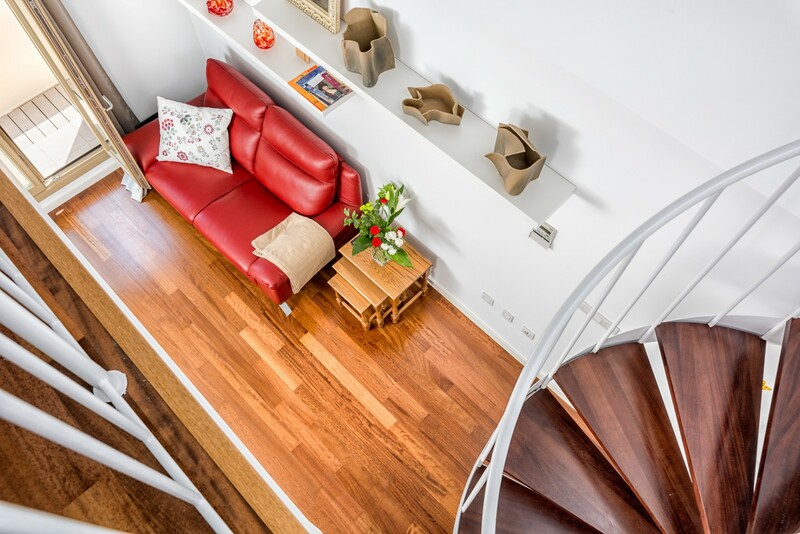 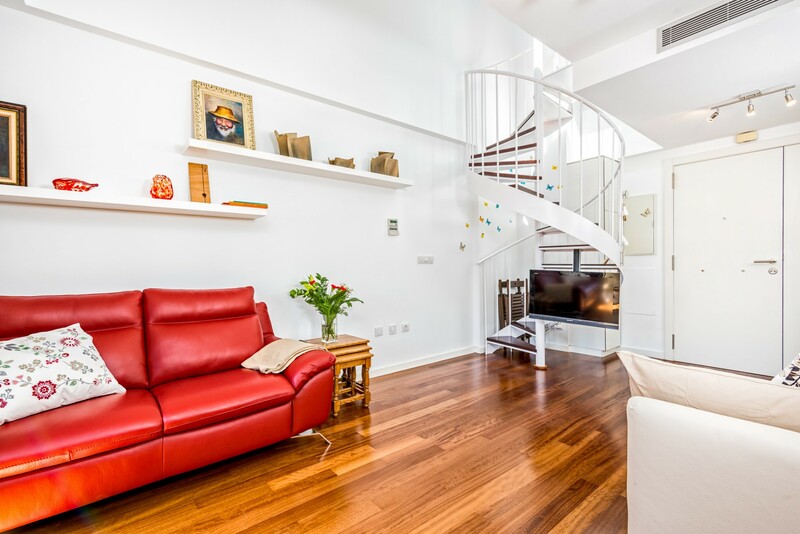 A spiral staircase from the living room leads up to the bedroom on the first floor. 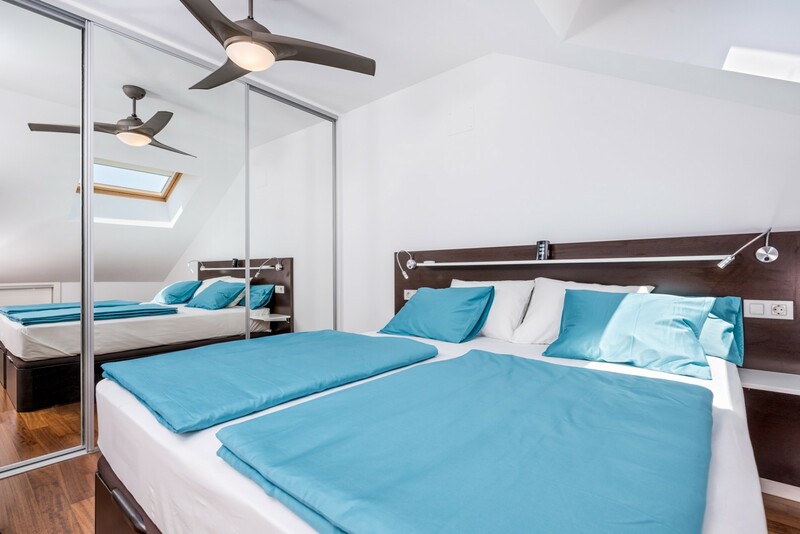 The bedroom offers a comfortable double bed, air conditioning, wardrobes and a bathroom with shower. 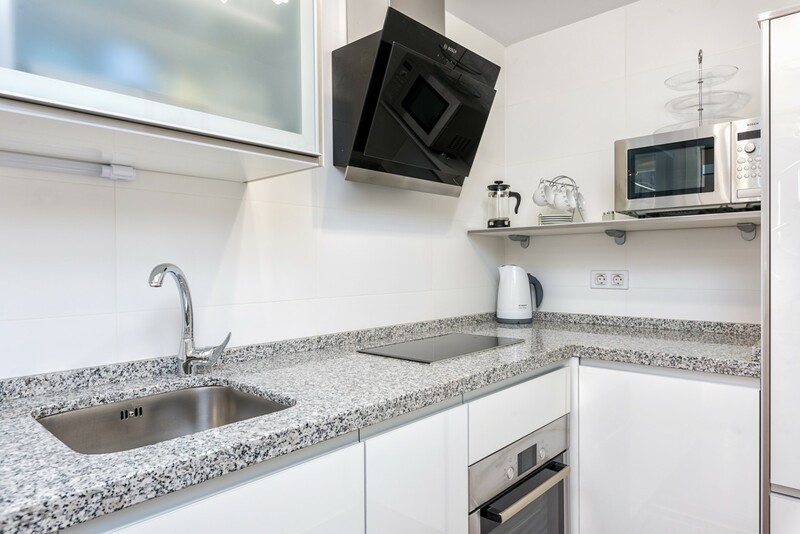 We offer Internet, air conditioning and indoor parking. 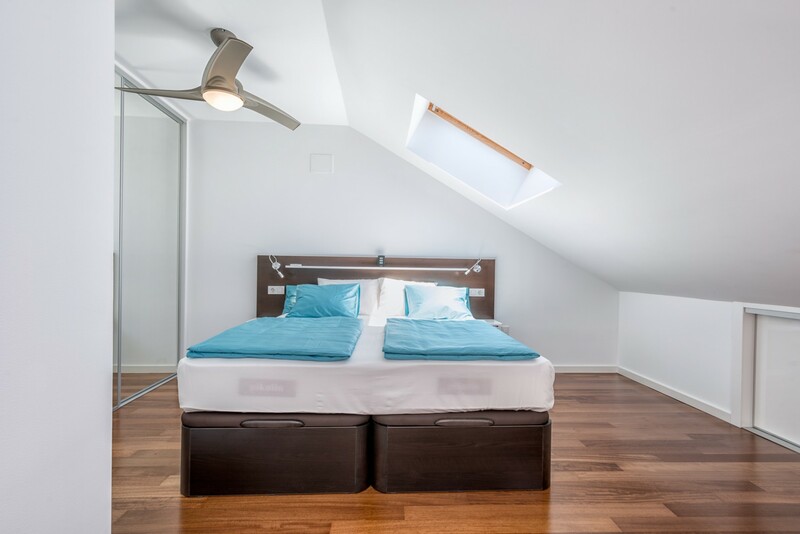 1 Double bed, 1 Extra bed. 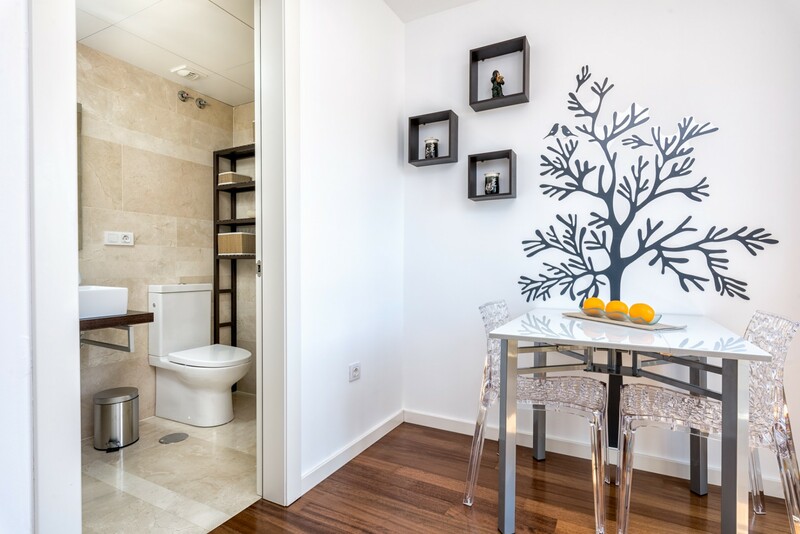 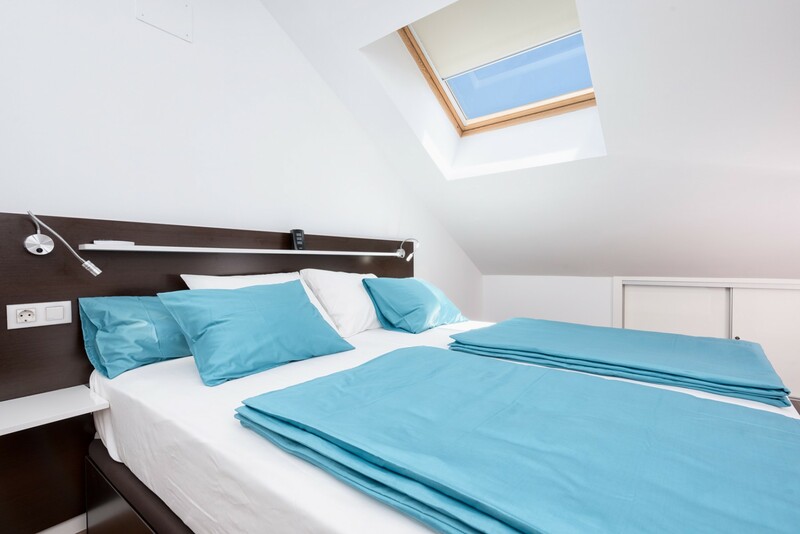 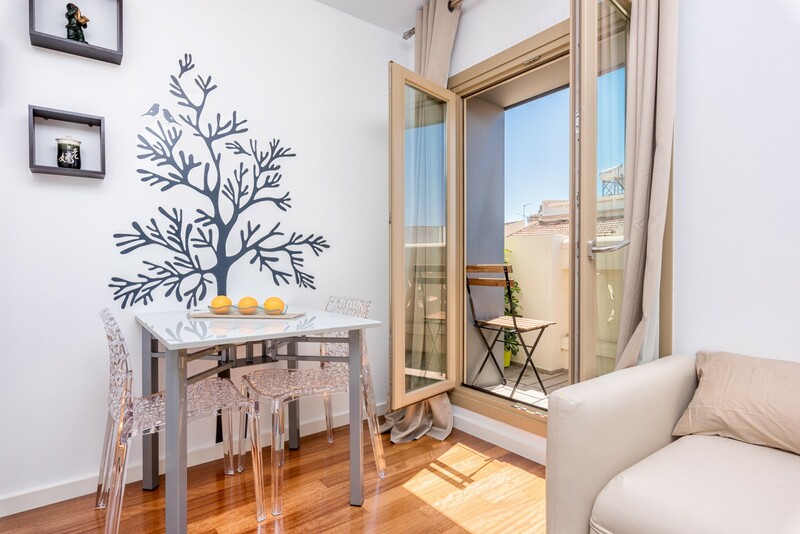 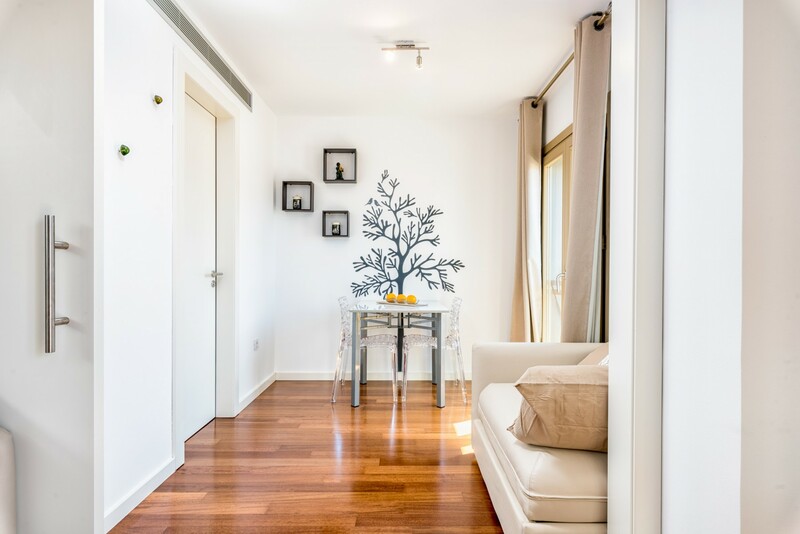 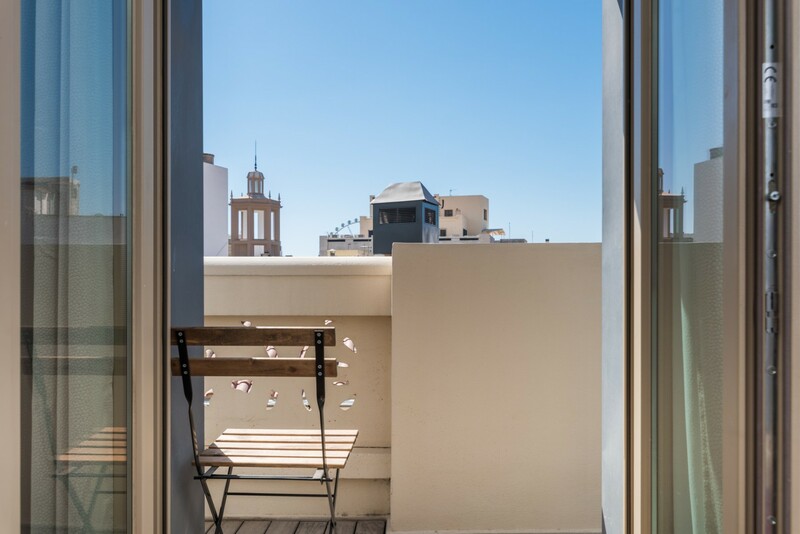 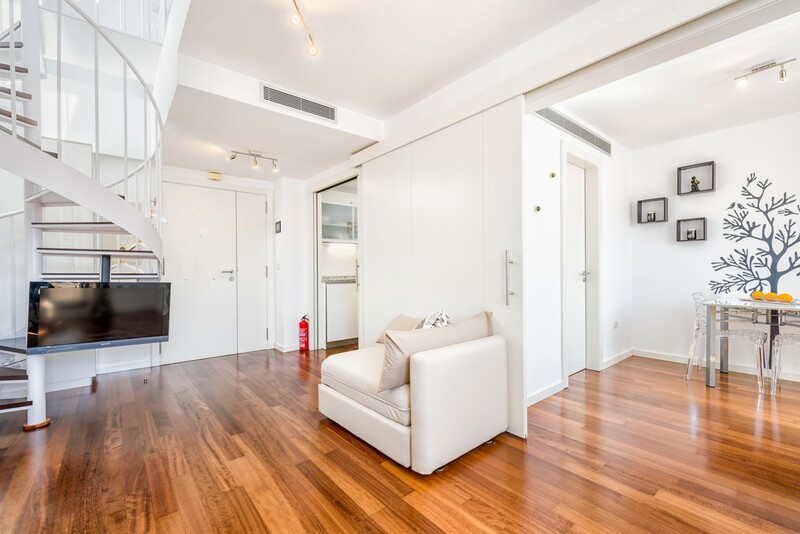 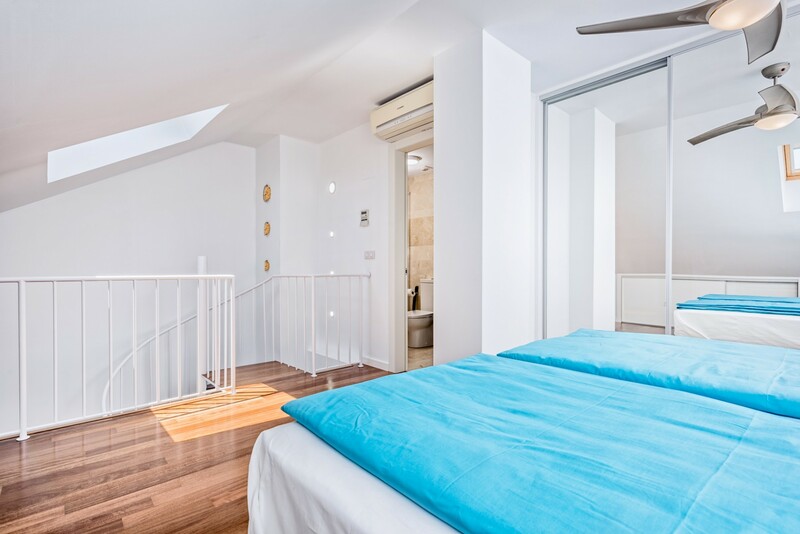 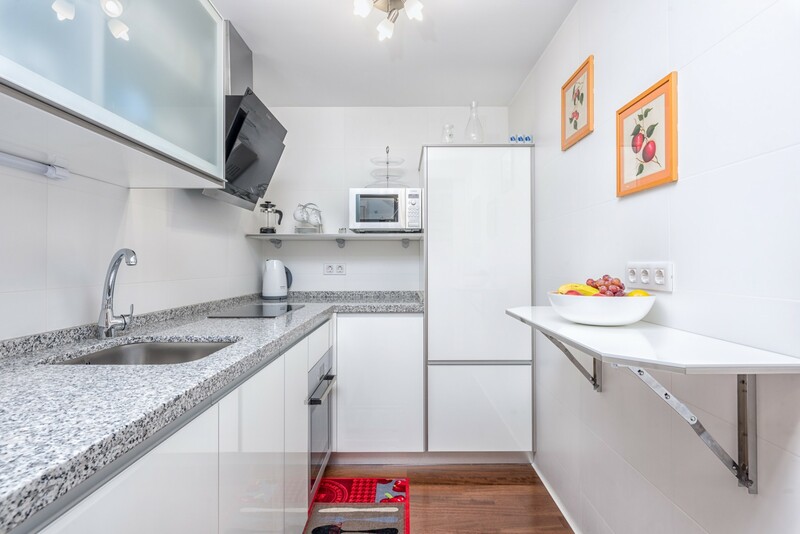 1 TV, TV Satellite (Languages: Spanish, English), 5rd floor, lift, garden furniture, internet (Wi-Fi), hair dryer, balcony, 75 m² property, air conditioning (hot/cold), air-conditioned, Garage in the adjoining building.